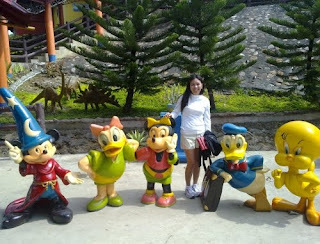 I was able to take a photo for this week's theme last minute using IT Guy's cellphone. This was taken from the garden. 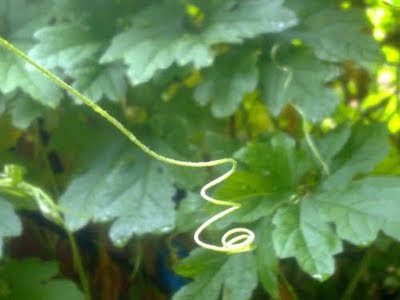 Please visit PhotoHunt's HQ to see others' TWISTED! It's Friday friends and WOOT it's Friday! I'm up so early, need to be at the office early for my my 7 o'clock meeting, evening for me, morning for most of you. 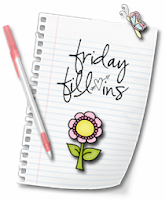 But of course Friday won't be complete without my Friday Fill-Ins! 1. One week ago I wasn't feeling well. 2. I love watching Small Wonder when I was young. 3. Mama told me there is no limit to what I can do, I just have to be patient and believe. 4. It will always be you and me. 5. Take your time I'm not inn a hurry. 7. And as for the weekend, tonight I'm looking forward to spoiling myself in bed, tomorrow my plans include working on some photos for my other blog and Sunday, I want to jog! P.S. I'm happy to read some news at Yahoo about some success on an AIDS vaccine! Early this week I got into a conversation with an office mate about traveling and we talked about our travel experiences. How different they are! 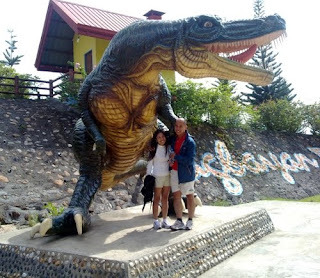 For one, I was envious at the fact that he was able to maneuver his way into it and was able to travel at a very affordable price and still get to enjoy the travel experience. 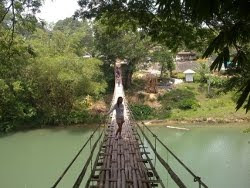 I, on the other hand did enjoy so much of the comfort that I feel I did not really left home and thus missed so many place and other fun and exciting experiences that I could have had only in places away from home! Anyway, he mentioned to me that next time I go to Europe, specifically UK I need not stay at the hotel, especially if I am traveling with a companion or friends. So where will I stay you might ask. Well, have you ever heard of holiday cottages? Well he told these are very good options...very affordable and it gives you the freedom and privacy you need and still get to enjoy the travel. I really kind of like the whole idea specially if I will be traveling with the IT Guy. First of all he can cook and it just nice to feel like you are both living in that place during that time...so it would feel like (in my opinion and this is the romantic and crazy side of me! LOL) we were able to "live together in UK" for example for a week or so. Ha! To tell you all with my recent plan of getting married next year all I have with the IT Guy is just that, a plan. So I took the liberty of suggesting to him where to go for our honeymoon and told him about this concept of self catering holiday as I feel it is very fitting for a honeymoon. We are both excited about this idea that we did check for places already. We found a site which offers a good list of holiday cottages and in fact they have Cornwall cottages in their directory! What's with Cornwall? Well it's one of the places that IT Guy wants to go...and it's a nice place to visit, I'm sure! 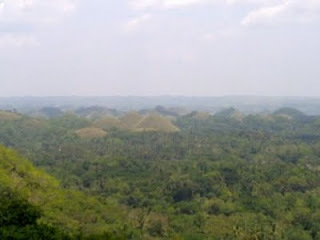 This is a photo of Bohol's famous Chocolate Hills from our recent Bohol Escapade. Please note that this photo's not edited. This is the IT Guy trying his creative luck using his cellphone! 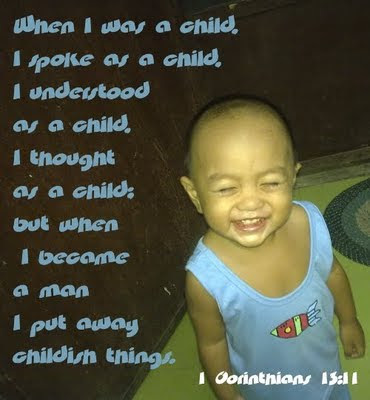 but when I became a man I put away childish things. 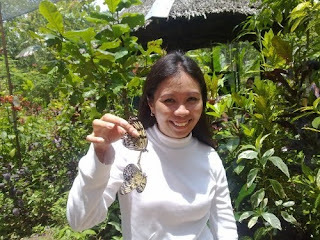 The busyness of my life made me miss an important part of me...beyond blogging, and that is Word Filled Wednesday. I feels so good to be back here! The past week has been quite busy but more than anything I'd say it's been full of learning experience for me...for a very short span of time I can say that I did increase some levels of maturity in as far as relating and understanding others is concern, more than anything I believe I have matured spiritually. I am so thankful to be with WFW's wonderful community again...and I'm so excited with what others have to share. It's Tuesday...and it's time to tell tales! 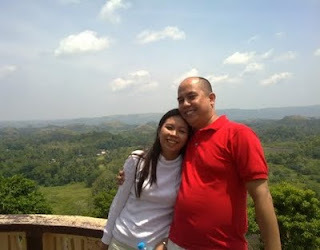 Last weekend I went to Bohol and was touring the island with the IT Guy and some of his office mates. 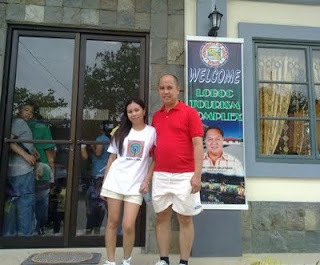 IT Guy went ahead since they have business meeting with one of the municipalities in Bohol...I went there Saturday morning with Mom just in time to join the group's tour and spent the weekend with my Grandma. 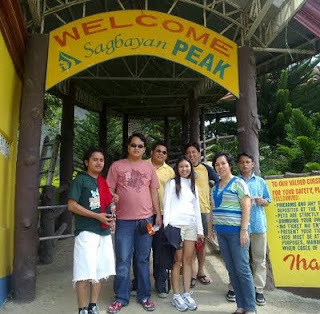 Our first stop was at Sagbayan Peak! 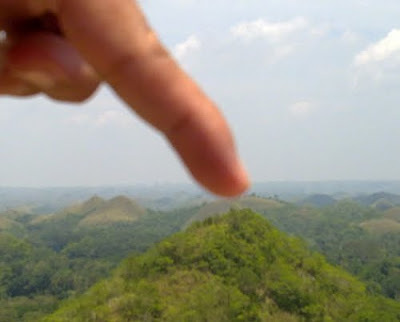 Next stop was at the famous Chocolate Hills! 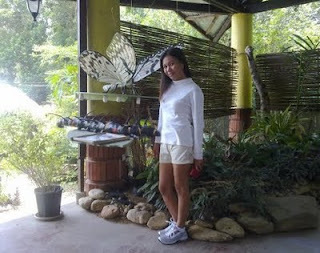 After the butterfly garden we passed by the man-made forest at Bilar! 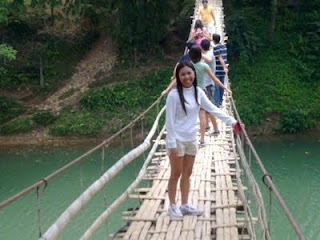 Then we dared cross the famous hanging bridge! 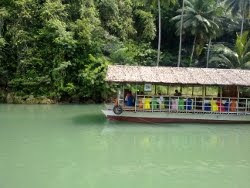 The hanging made us so hungry...good thing our next stop was at the beautiful Loboc River! 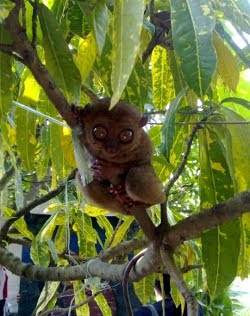 After lunch we took a glimpse of the world's smallest monkey, the tarsier! I also saw a flying lemor for the first time! I'd be honest, I did not enjoy this part of the trip. It pains me to see these creatures not in their natural habitat. I couldn't care less if I don't get to see them live as long as they're living within the comfort of their real habitat. 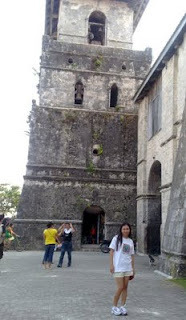 I was so ready to move to our next stop, the oldest church in the country...the Baclayon church. There were still other short stops but I was still nursing myself back to health then that I opted to just stay at the van...I was not too eager to see the python...I'm sure it looks sad because it misses its home. 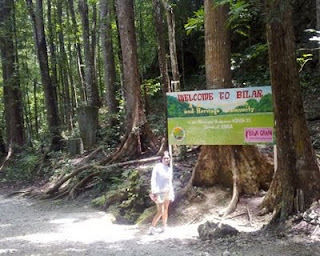 It's was fun...and it was nice to see almost the entire island of Bohol again! 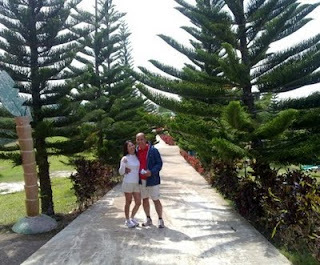 My final destination was the the farm of my Grandparents...I'd say there I found peace and was able to recharge and I went back to Cebu feeling way better! That's it for my Tuesday's Tales...I invite everyone once again to play along...just drop me a comment so I can link you up! Anyway this week will all about PayPal and PayPal in the Philippines. Yes, you read that right, PayPal now works in the Philippines. Not so many years ago I remember having to maintain my US account to keep a PayPal account which I always use for most of my online transactions, thank goodness now I can do it with my local accounts in the Philippines. If it's your first time here and you are asking the question how, well very simple! First off, you need to open an account at PayPal.com. Now to transfer funds to Paypal as well to withdraw from it, you need to add your bank account to your PayPal account. This is very easy if you have a credit card or debit card. You can make payments through PayPal that easy...but then if you have funds that you need to withdraw, comes the problem because they only transfer to a Visa card or savings/checking account. To do this you need a PayPal Bank Code. This PayPal Bank Codes are needed for you to add your savings/checking account to your PayPal...and please take note this is the usual "routing number" that we use for our checking accounts to make online payment. This is another code! Let me share with you below the list of official PayPal Bank Codes...but please before you make any fund transfer, it will not you any harm to call your bank and confirm. At least you have the CODE ready to lead your bank into understanding that you are looking into PayPal Bank Codes and the routing number as what happened to me when I first asked my bank. To add a savings/ checking account to your PayPal, log in to PayPal, go to My Account > Profile > Add or Edit Bank Account then fill in the Bank Name, Account Number, and Bank Code. If there is one thing I love about the Internet it is convenience. I find it very convenient to find information and other stuff. So this morning I'm looking around for some reasonably priced items which I can use for my craft...you see holiday season is coming and I'm in my artistic mood again. What I usually do is send most of these items to my US Address and have them shipped here via balikbayan box. Anyway...anyone of you tried as seen on tv items? Well I'm looking into to that site and wow it carries just almost anything I need...and even those I never thought I need! Ha! But then I have never tried any of their products in the past...so I was surfing and get into this site which offers video reviews on items from As Seen On TV. It's quite nice to see these items in action in the video. Anyone who tried it? Are you planning of getting items but like me is still thinking about it? You may want to join watching as seen on tv product video reviews. It's 5AM here and it's a Monday! Today is Eid ul-Fitr and is a holiday here. Not a manic Monday for me but I have to be at the office later around 9AM for some magazine interview...anyhow it feels good to be doing FUN MONDAY again! Sayre Smiles is our lovely hostess this week and she said -- If you had a WEEK with no obligation and money was no object, what would you do with it? It's a week...so I have 7 days...168 hours. Day 2 - I will be up feeling to refresh and alive...knowing I have nothing to do! 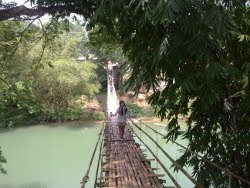 I'm going to visit my farm...plow and harvest and fill it with buildings, fences, flowers, paths and other decorations. But of course, I'm talking about my Farmtown and Farmville accounts at Facebook! Day 2 will be about the Internet. I will blog...read blogs...and play! Day 3 - I will be at one with sea. I will go island hopping....watch dolphins...do SCUBA diving and will enjoy the sun and the sands! I need lots of fresh orange juice for this...and watermelon too! In the evening I'm going to stay at the shoreline...stare at the bonfire...and will summon every person I wish to talk to 'til dusk. How cool! Day 4 - Since there is no budget constraints...I'm going to have some shopping spree with families and friends. And since shopping can stressful too, we will have some nice time at the spa after. Day 5 - This day will be with the IT Guy. (Just one day because I can't assume he has this super nice week with no obligation or anything...LOL) We'll go to places he wants us to go...do whatever he wants...in the evening, I'm going to luck myself with him all night! Day 6 - This will be my fantasy day. I'm going to take a very important role in business or government and will have an office there for a day. I will end the day with a very nice champagne dinner with VIPs. Day 7 - I will be very busy organizing a birthday party for a very good friend. I'm going to call all his friends and will give him a surprise party! We will be singing....dancing...eating...drinking...'til we drop! I wish you all the best....CHEERS! Please visit Sayre to see how others FUN Week going to be! Wish you all a great week ahead! 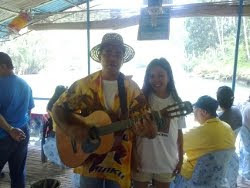 This photo was taken years ago in one my trips to Malaysia. 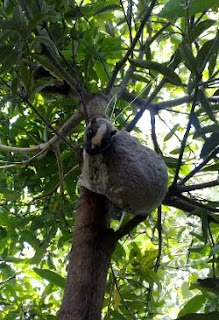 This bat is smaller than a "flying fox" or fruit bat, I guess its wingspan is just about 30cm. Please visit PhotoHunt's HQ to see others' upside-down! I just did a post about sending holiday cards and well as the days pass, ideas keep coming in and it's just getting better and more exciting! Remember I mentioned about the thrill of sending customized holiday cards to friends and families specially for the ones who are really far from us? Well...what could be cooler than sending them photo holiday cards! I think sending some photos as holiday cards will just add to the thrill and excitement of getting something real...you get to touch it...feel it! Perfect! So today I am going for sure to spend more time in my archives looking for photos with friends...families to have my photo holiday cards ready soon. What I'm doing is making a list of people whom I want to send these holiday cards and brainstorm what photo I want to send them. Once I have everything organized I can have them printed. Hopefully all would be sent out by last week of November to beat the holiday rush. Or it would be funny getting a thank you message from a friend for a Christmas card on a February with a P.S. of "happy valentine's". Ha! One of the things that have been bothering me for the past weeks is body pains. Yes, I have back pains...and all forms of muscle pains. This is nothing new but I have never gotten used to it. It is simply annoying as most of the times I have to separate “pain” from worry and concern about the “pain”. I just can't seem to understand what is causing it. I get massages every week...in fact sometimes every other day and still I can't seem to kick this pain away. Today, I found hope! Anyone heard 0f "egoscue"? Well based on my research, egoscue is a unique and effective program designed to treat musculoskeletal pain without drugs, surgery, or manipulation. Could this be the relief I've been looking for all this time?! According to my online reads, this process involves a series of stretches and gentle egoscuecises ("e-cises") which is specifically designed for every patient/client. This process strengthens specific muscles and will bring the body back to its proper alignment and functioning the way it was designed. It does that pain free! I went ahead and look for more information and found a site which offers programs for back pain relief using this technique. This discovery is really making me excited. I've been looking for relief for some time now and I am really hopeful and forward looking to this procedure. They have also outlets across the globe and I saw that they one in Japan. Did I mention that I have Japanese heritage and that I've been looking for a good reason to visit Japan? Maybe this time I will. and grace, I love you! So here is my take for this week's Friday Fill-Ins! I'm sure to visit the rest later! 1. That's a _____ to be. 2. Hello stranger; I'm over here! 3. The possibilities include: endless choices which will just make me nuts. 4. Vegetable salad is one of my favorite cool day recipes. 5. How will you know how much I love you. 6. The past days I feel like it's me and a stormy sky. 7. 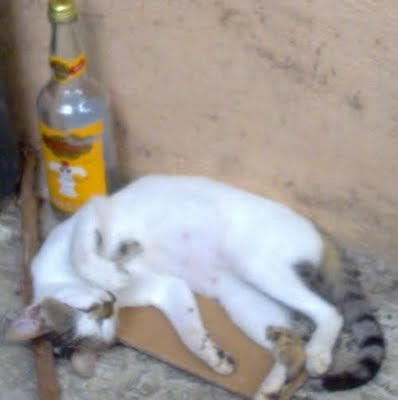 And as for the weekend, tonight I'm looking forward to my Bohol trip, tomorrow my plans include touring Bohol and Sunday, I want to just REST! 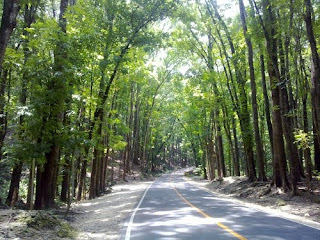 For the past days I've been uninspired to come here and write a post. I don't know why. I guess it's just another winter season in my blogging life. Or I guess it's just one of those days when we blame it to the hormones? I wish I know! Lately I feel so beaten down. I've been having health issues again. I wrote here last time that I wasn't feeling well...and I was able to recover then. After a week it's back again and this time it's worst. My allergic rhinitis is on the loose...giving me colds, hay fever and cough. Last night I was back on my nebulizer again. If there is anything I hate, it's my asthma. I'm trying to reflect what I've done and failed to do causing my health to be crappy again. I know I've been pushing myself the past weeks but then I've done worst before. Could it be caused by some emotional stress?! I hope not. But then I really don't know. All I know is I feel so beaten down...inside out. At some point I feel so alone and empty yet other times I feel the need to withdraw and just spend time with myself. I feel like shouting into the void for I have really no idea what it is that I want to let out. I wish somebody out there can hear my thoughts and can help me understand what is going on. So for those who are wondering how am I doing...well -- Mariposa is having a less than stellar week! When you love someone, you're willing to put it all on the line. You are bold in your romantic choices. You find love to be exciting, and you'll take a risk on a dangerous relationship that might not work out. You are very intelligent, and you are drawn in at first by a mental connection. Brains turn you on. For you, seduction and dating can be a bit of a game. You always have a clear picture of what's going on and what you need to do to succeed. I grabbed this from Thom...and I so enjoyed it to a point that I am posting it because I think it is so true! When was the last time you received a postcard? And I mean a real one! Yesterday I got one. And I saw it just now. Mom left it at my beside table and since I was in bed the whole time due to hay fever I missed it yesterday. I am so happy! I usually get one from a friend in LA but this time it's from an old friend. She wrote there - "...sometimes the real thing feels better. " So very true. I'm technology passionate but somehow a part of me still enjoys some old stuff...such as the traditional snail mail...and printed postcards. So this morning I'm trying to make some quick searches and see if there are any good postcards I can order and send to friends. I found one site which offers printed postcards and they're customizable! Yes you can upload your own design...print your own text using their different layouts. This discovery is making me so excited for the coming Christmas. I always love sending gifts to friends but let's face it, it's just quite hard to send gifts to friends and acquaintances across the globe...but sending printed postcards is just...fun and thoughtful, in my opinion. This weekend I'm going to work with the IT Guy on several photos and design for our printed postcards...I hope to send hundreds of it this coming Christmas. We still have enough time, right? To be honest I never paid much attention to my finances until lately. And I have to be honest it is only recently that I get to know the concept of Debt Management Plan. I feel blessed to have a good job which lets me buy the things I need and want...yet I cannot say that I am debt free. I have credit cards and I have other obligations...but I'm not in financial trouble...and I don't want to get there! But fact remains that most people at this time are having challenges with managing their payable and not that it's their choice and how they want things to be. Who would want to be dealing with debts?! Lately I've been looking around and bumped into this site which offers Debt Management Plan. What this organization does is they help you manage your payable and make it doable for you by first of all help you negotiate with your creditors in lowering your monthly payment and repayment. I believe this is a good start if you are looking for some help in managing your debts. In my experience banks and other credit companies would harass people and force them to make immediate payments. Usually they get a law firm to collect and these collecting agencies most of the time are not open for financial restructuring making it more difficult for people to pay. I think one of the benefits of getting a third party help you manage your debts is the fact that once you entered into an agreement with them and they started to negotiate on your behalf, you're able to establish already the will to pay. The will to pay hopefully will stop your creditors from taking actions against you. Add to that the fact that this organization for example, can actually make a payment plan that will according to what you can afford. I am so glad I get to know these things this early. It is always best to know what options we have.